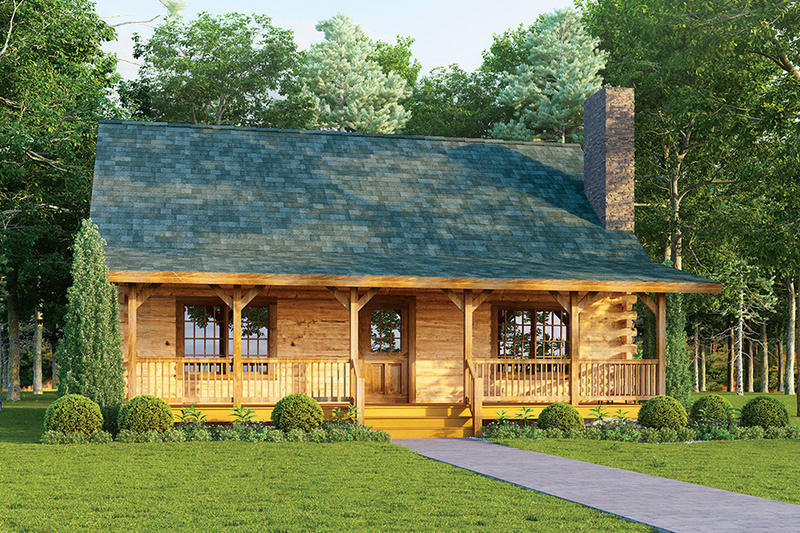 The Brookside is the economical answer for those families that always wanted a three-bedroom log home but didn't think they could afford one. This plan offers most of the features of the larger McKay model - including open-concept great room with fireplace and timbered ceiling, master bedroom with adjoining master bath and walk-in closet, and first-floor laundry - at significantly less cost! Convenience features include the raised kitchen serving counter and the dining area with easy access to the kitchen and rear deck. No wasted space on long hallways, either. 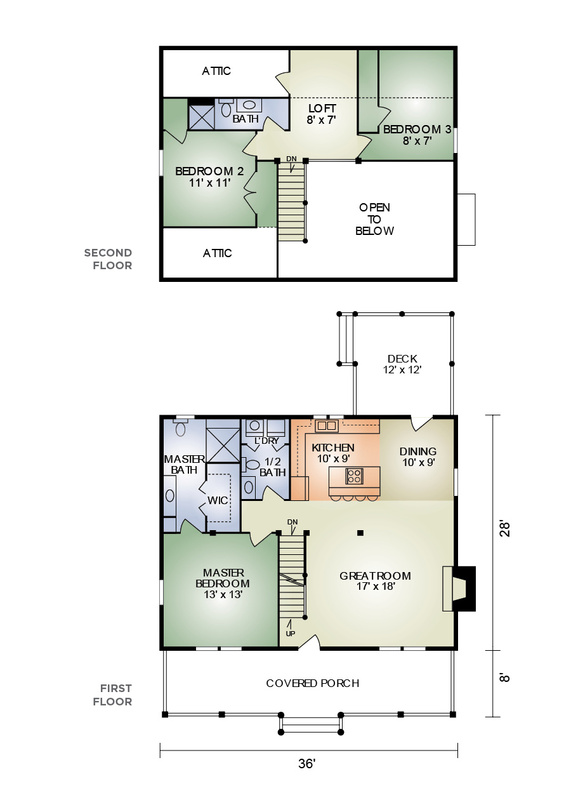 Upstairs, there are two additional bedrooms and a bath, plus an open loft which overlooks the great room. Outside, this home features the full-length covered front porch and a rear deck, spacious enough for that summer barbecue.